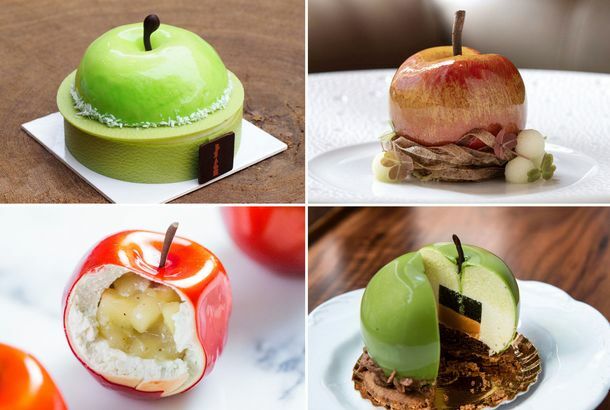 Why Are Pastry Chefs Obsessed With Extremely Fancy Apples?Call it trompe l’oeil for the Instagram age. The Absolute Best Tuna Tartare in New YorkIt’s the ultimate example of late-’80s dining, but brave chefs are dusting it off and giving the dish new life. 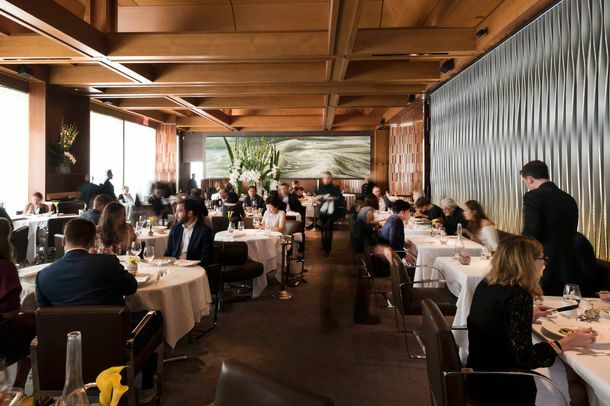 Le Bernardin Once Again Tops Zagat’s Annual RankingsThe popular guidebook calls it New York City’s best restaurant. The Absolute Best Upscale Seafood Restaurant in New YorkIt’s still possible to enjoy a first class, slap-up feast. 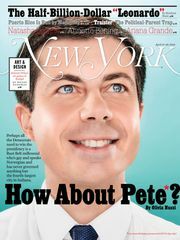 The Absolute Best Restaurant in New YorkFew things get the passions going quite like a good old fashioned best restaurant debate. 8 New York Chefs on Their Favorite Skillet Eric Ripert of Le Bernardin, Kevin Adey of Faro, and more. Why It’s (Finally) Time for Restaurant Workers to Celebrate the HolidaysThe holidays are a distant, hazy memory for most, which is why this is the time people in the hospitality industry actually get to enjoy themselves. Eric Ripert Speaking on Happiness Tomorrow [Updated]The guys have some feelings about happiness and success. Michael Laiskonis on the Power of Good DessertHe says it’s all about nostalgia. Negronis, Batman, and Naked WomenThese are a few of Eric Ripert’s favorite things. Spring Luxury: 20 Spots Serving Outstanding Morel Mushroom DishesMarietta, Colonie, and ABC Cocina are all serving the wild, seasonal ‘shroom. 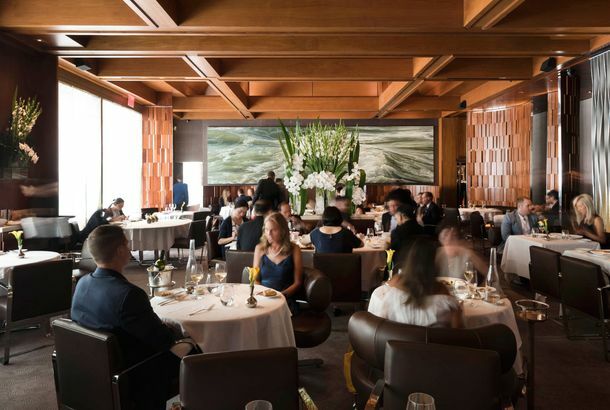 Le Bernardin Will Expand With Aldo Sohm Wine Bar and Bernardin PrivéGet ready for 11,500 more square feet of French-ness. Beyoncé and Blue Ivy Brunch at Buttermilk Channel; Jake Gyllenhaal Hits FrankiesPlus: Hugh Jackman at Kittichai, and more, in this week’s roundup. Finally, Le Bernardin Will Serve Non-Horrific BreadMaison Kayser will be on baguette duty from here on out. Black Truffles at Le Bernardin: As Good As SexKogi BBQ founder Roy Choi remembers his first time. Eric Ripert’s Pulling Out of His Philly Restaurant, TooLike his recent announcement in D.C., he wants to focus more on Le Bernardin. The Riperts Are Doing WellMaking dough. ‘Trickle-Down Tartare’ Is a Thing Now, Says WSJBacon sundaes for all! The Tao of Eric RipertThe toque on his early, hot-tempered days at Le Bernardin. Hagerty Concludes NYC Eating Adventures With ‘Dainty’ Bites at LeWhat a neat experience. Lunch for a Cause at Le BernardinA new $45 prix fixe benefits City Harvest. Michael Laiskonis Joins ICE As Creative DirectorSweet new gig. Le Bernardin’s New Pastry Chef Is a Brit, Worked at Per SeAnd the best get better. Oh, Burn: Le Bern Is the Latest Restaurant to Be Hit by Wage-Violation LawsuitOh no. The Ripper Brings Le Bernardin to Philly For a Five Night StandThe Ripper will be serving up the celebrated cuisine of his Le Bernardin right here in Philly. Your Grub Street Food Festival D.J.’s: Michael Laiskonis and AlexIt all happens October 23 starting at 10 a.m.
Zagat 2012 Covets Le Bernardin, Ai Fiori, Per Se, and a Couple of Cheapies TooApparently, there’s this really good seafood restaurant called Le Bernardin.